Click the button below to add the Acne Clear Facial Toner #Natural Acne Facial Toner# to your wish list. Try not to focus on your acne alone. Instead, think about improving the overall environment of your skin. Rose Hydrosol enhances skin beauty and health by rejuvenating, moisturizing and softening skin while reducing redness and irritation. Neroli Hydrosol balances sebum, reduces skin inflammation, tightens pores and calms breakouts. 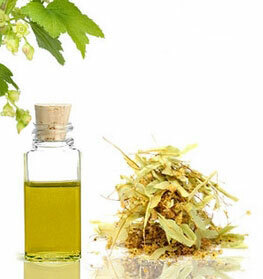 Witch Hazel Hydrosol tones the skin and minimizes the appearance of pores. Aloe Vera Hydrosol soothes irritation, itching, and discomfort from breakouts. It’s full of Vitamin C and E.
Tea Tree Oil has antiseptic properties that cleanse skin to remove any residue and unclogs glands to cleanse the pores. 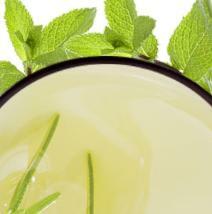 Peppermint Essential Oil brightens the skin and controls the secretion of excess oil on the skin to prevent blemishes. Panthenol is filled with Vitamin B, helps hydrate, moisturize, and promotes skin repair. Apply a few drops on a soft pad and massage on affected area. • After using a cleanser or soap with warm water and a washcloth, splash your face with cold water. • Saturating two cotton pads, use toner on your face and neck at night to complete the cleansing of the skin, and in the morning to remove sebum produced during the evening and to balance your skin's pH. • After applying the toner, let the skin air dry, then apply your moisturizer. I ONLY USE THIS TONER RIGHT BEFORE I FELL A PIMPLE MAY COME OUT AND IT WORKS LIKE A CHARM! SOMETIMES I MAY HAVE TO APPLY IT 2-3X /DAY FOR 2-3 DAYS AND THE FEELING THAT A PIMPLE COMMING OUT COMPLETLY GONE. IT SEEMS A MIRACLE TO ME. GOODBYE TO THOSE NASTY PIMPLE. I loved this nutritive toner. I use it with a cleanser and a moisturizer every day, and it works great. I would always have several small bumps on my cheeks and forehead that weren't really pimples, and I would sometimes get a big pimple other places. This product got rid of the little pimples and the big ones without making my face dry, which most toners have done for me in the past. I had persistent blemishes for two years, which commercial products could not clear. I started using this nutritive clear toner once a day after cleansing. I place a drop onto a cotton pad, add water and gently wipe. The breakouts stopped within 1 week. Now, I apply every 2 or 3 days to prevent new blemishes. It can sting a little bit so dilution is recommended, especially for sensitive skin. It has kept my skin clean and clear. What a relief to be finally free of the frustration and chemicals! I have always stuggled with break-outs. I don't have greasy skin, but have always been prone to pimples. Too much washing caused irritation. Now I wash my face at night and then use toner in the AM before applying my make-up. I gives me that nice smooth clean feeling without the drying effect of most products. My face is very oily and it has helped a whole lot! I’m ordering my third bottle! I’ve been using it for quite a while, and I love this stuff! It’s so worth the price because it lasts, it works, and it’s all natural. I love the smell, it’s so refreshing, and it really helps keep my skin stay clear and refreshed. I love it! This product has helped my very oily skin. It smells great. I love using this toner after cleansing with my clear body soap. It is all natural so it doesn't burn your face like some toners do. My skin is clearer and smoother than it's ever been. It is worth the money. I have 5 teenagers at home. Three of them have very acne prone skin. We have tried about everything. I am pleased to say this product works and the fact it is all natural makes it even better! the other two teenagers that have mild breakouts said their skin has nvere felt so good. I will continue to buy this product. This toner is so refreshing. My skin has never felt so soft and smooth. I am loving how your products have changed my life and skin. I have only been using this product for about a week now and I can see a difference already. My face is sensitive and this product has certainly helped clear any blemishes. I'm not going to lie...I was a bit skeptical at first. I have used tons of products throughout the years so much so my husband has a beauty budget in place for me. It's been about a week and a half and I'm already seeing a dramatic difference. I have acne prone skin. I don't wear make up. I can't wait for my old moisturizer and night oil to finish that are from other brands so I can purchase the day cream and night oil!